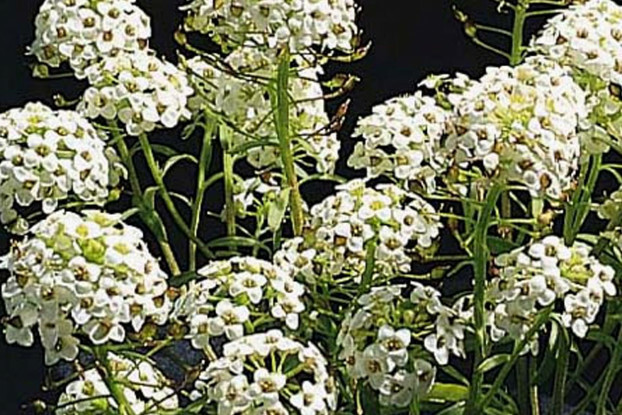 Sweet Alyssum is formerly known as alyssum maritimum. It is a drought tolerant annual species that prefers full sunlight. It is low growing and yields white flowers which bloom most of the growing season. It is often found in open meadows and along roadsides throughout arid North America.